The Royal Navy of Oman (Arabic: البحرية السلطانية العمانية), abbreviated RNO, is the maritime component of the Royal Armed Forces of the Sultanate of Oman. Given its long coastline and strategic location along the Indian Ocean, as well as being close to the Strait of Hormuz, the Royal Navy is one of the priorities of the government of Oman. It has a fleet of gunboats, fast missile boats and support, training, cargo and hydro-graphical survey vessels, which can be deployed to defend the territorial waters and coastline of Oman as well as protect tankers passing through the Strait of Hormuz. The Royal Navy's headquarters are in As Sib, several miles west of Muscat, the capital. A modernization program is ongoing, with the objective of creating a first rate fleet. In 1992, the Royal Oman Navy had a strength of 3,000 personnel. The main naval base, near As Sib, was the Said ibn Sultan Naval Base, located in Wudham Alwa (near As Sib). One of the largest engineering projects in Oman, it serves as a homeport for the fleet and includes training facilities as well as repair bays. The Sultan Qaboos Naval academy, located at the base, provided instruction for officers and enlisted personnel, as well as specific branch training. Originally, most of the officers were British, with non-commissioned officers being mostly Pakistani. However, by 1980, most of the officers were Omani, though British and Pakistani technicians remained. The Royal Oman Navy does not have a marine corps or any naval infantry formations, though has multiple amphibious ships. A modernization program is ongoing in order to protect the coastline as well as the strategically important Strait of Hormuz. The British Royal Navy, in 2011, helped train corvette crews in the Flag Officer Sea Training. L3 Fulk al Salamah Bremer Vulkan Amphibious transport 10,864 tons 1987 270 troops. Multi-role amphibious transport and general logistics ship. Now assigned to Royal Yacht Squadron. L2 Nasr al Bahr Brooke Marine 2,500 tons full load 1982 1984 1985 LST with helicopter deck. Capacity for 7 tanks; 240 troops. The Royal Navy of Oman (RNO) has contracted with the US Pentagon through a Foreign Military Sales (FMS) program to provide a new research vessel based on the RV F.G. Walton Smith, a University of Miami vessel. DeJong & Lebet, Naval Architects, provided the US Navy with Contract Drawings and Engineering. Thoma-Sea Shipbuilders of Lockport, Louisiana reportedly won a $7.3m contract to build a Catamaran Hull Hydrographic Survey Vessel for the government of Oman, according to a report. This vessel will be built by Thoma-Sea. Thoma-Sea’s partner in this proposal is Technology Associates Inc. (TAI) of New Orleans in Louisiana. TAI prepared the proposal for Thoma-Sea and will be in charge of performing the Design, Program Management and Integrated Logistics Support (ILS) functions for Thoma-Sea. The Sultanate of Oman will receive this 90-foot vessel, which is designed to conduct hydrographic and environmental surveys of harbors and bays, and will work in Oman’s territorial waters, according to the release. Oman has also issued RFI for a new ‘hydrographic survey vessel’. US Naval Sea Systems Command is promoting ship design based on the Walton Smith Catamaran design. In Oman, South Korean defence minister Song Young-moo met with his counterpart Sayyid Badr bin Saud bin Harib Al Busaidi. They spoke highly about the South Korean destroyers, Oman signed a deal in 2018 for unknown number of ships and other arms including tanks. ^ John Pike. 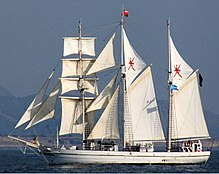 "Royal Oman Navy (RON)". Retrieved 24 December 2014. ^ "Thoma-Sea Wins Navy Deal". Marine Link. Retrieved 24 December 2014.